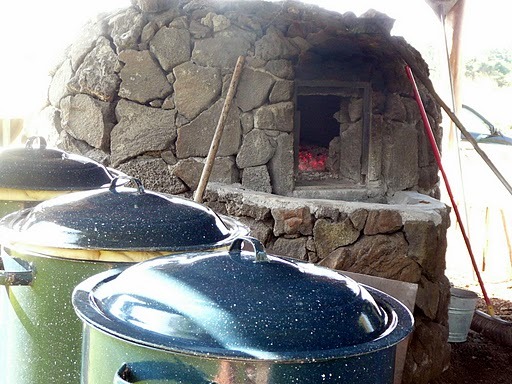 Portuguese immigrants to the Hawaiian islands brought with them the old-world style of baking in a wood-fired stone oven, a forno. 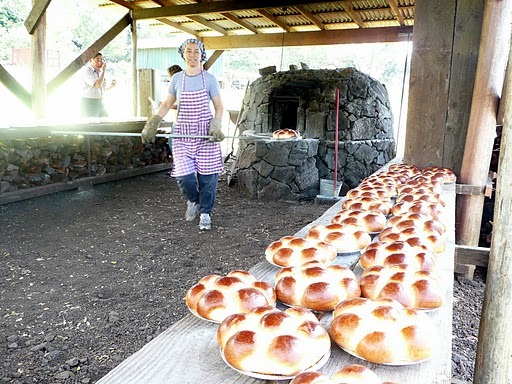 In an effort to preserve this tradition, the Kona Historical Society of Hawaii created a replica of a traditional forno in Kealakekua. Volunteers light a fire inside in the wee hours of every Thursday morning. 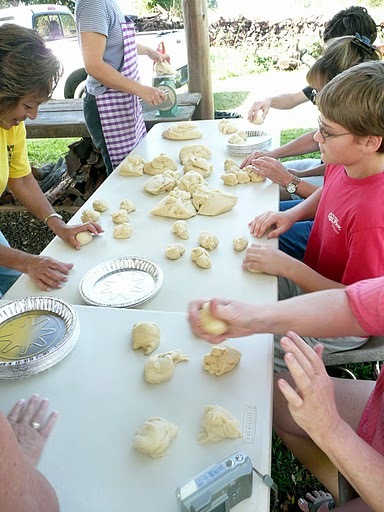 By 10 a.m., the action is in full swing, with volunteers preparing the dough for pao doce, a traditional Portuguese sweet bread. Then the baker weighs out the dough. Now everyone is invited to participate. 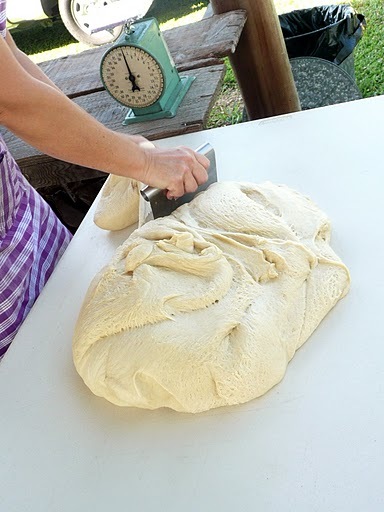 The measured dough must be further divided into seven equal portions, and rolled into smooth balls. 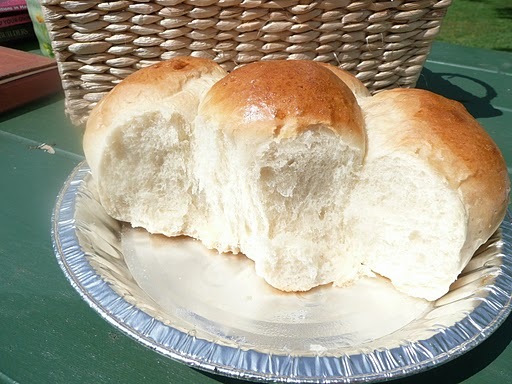 The loaves are set in pie tins, to benefit from one last rise. 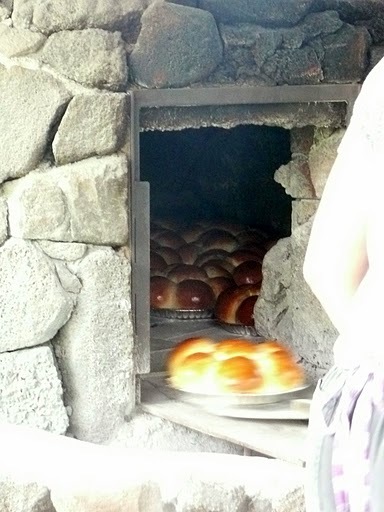 The air fills with the aroma of fresh bread baking. After the loaves cool, they're packaged for sale. As you can imagine, this bread sells out fast! It costs $5 a loaf. The funds go to support the Kona Historical Society. If you want to be sure to get some, show up early! 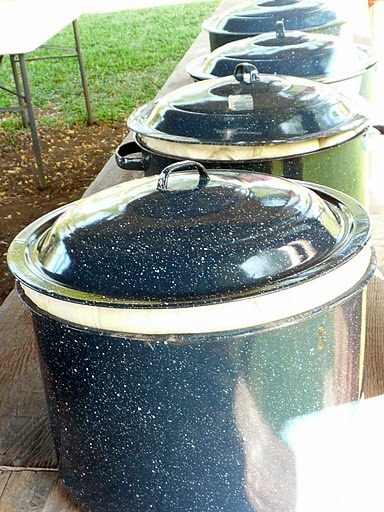 The Kona Historical Society, dedicated to preserving the stories of Hawaiian islanders, organizes the baking, on the west coast of the Island of Hawaii, below the H.N. Greenwell Store Museum. 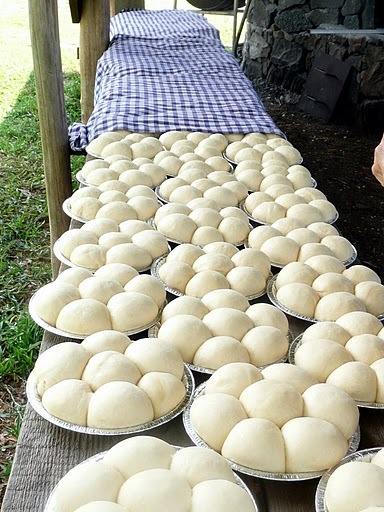 Bread is baked every Thursday, starting at 6 a.m., and is ready for sale by about 10 a.m. 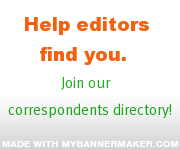 Author and freelance writer Kris Bordessa is based in Hawaii. She covers life, culture, and fun in Hawaii for less at Big Island On The Cheap and Honolulu On The Cheap.